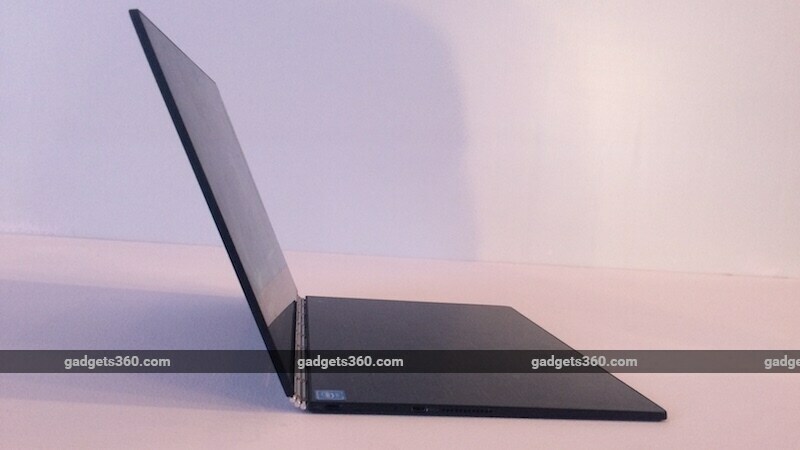 The Lenovo Yoga Book 2-in-1 laptop was launched in India on Tuesday. The new Lenovo Yoga Book laptop, which was unveiled at IFA 2016, is claimed to be the "world's thinnest 2-in-1", is priced at Rs. 49,990. Key highlights of the Lenovo Yoga Book hybrid laptop include a first-of-its-kind Halo keyboard and Real Pen input. The hybrid will be offered in Carbon Black colour and will be available exclusively on Flipkart. Lenovo Yoga Book has been launched in its Windows variant in India, with the company not deciding to bring in the Android variant at the moment. The Windows 10 Pro-powered Lenovo Yoga Book features a 10.1-inch full-HD (1200x1920 pixels) IPS display at 400 nits brightness, powered by a 2.4GHz quad-core Intel Atom x5-Z8550 processor with 4GB of LPDDR3 RAM. The Lenovo Yoga Book hybrid packs 64GB of internal storage that is expandable via microSD card (up to 128GB). The Lenovo Yoga Book is dubbed the world's "thinnest and lightest" hybrid, measuring at just 9.6mm in thickness and weighing 690 grams. A 8500mAh battery is fitted in the laptop which the company claims will power the device for up to 13 hours on a single charge. Other features of Lenovo Yoga Book include support for a single Nano-SIM and Dolby Atmos sound. The Lenovo Yoga Book sports an 8-megapixel rear camera with autofocus and a 2-megapixel fixed-focus front camera. Connectivity options include 4G LTE, Wi-Fi 802.11ac, and Bluetooth 4.0. Lenovo Yoga Book's Halo keyboard is a full touchscreen backlit keyboard having no physical keys. The capacitive keyboard features an artificial intelligence software that learns the user's typing habits with built-in prediction. Meanwhile, the real-pen accessory lets you draw on the halo keyboard. The stylus holds real ink tips and does not require any charging. Unfortunately, the Android variant of the Lenovo Yoga Book will not be launched in India. The company at the launch said that it has no plans to launch the Android version as of now.